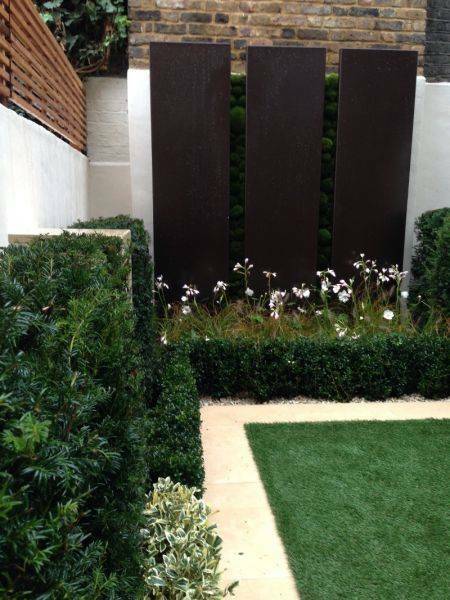 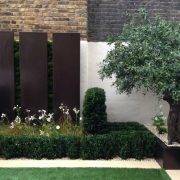 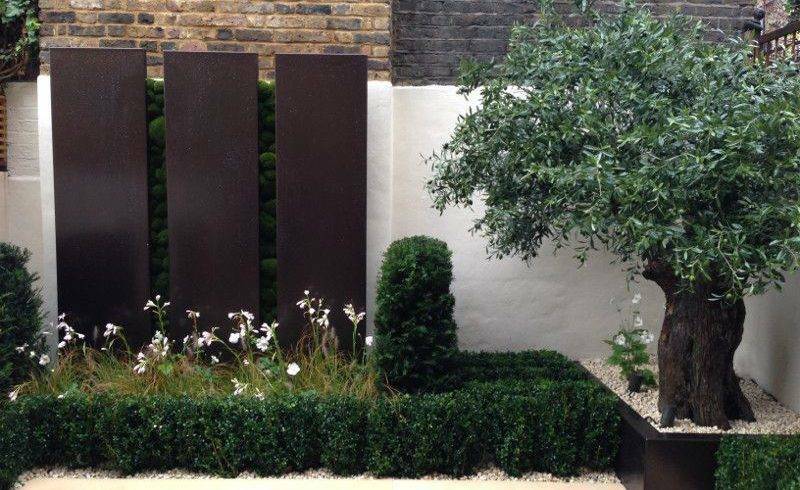 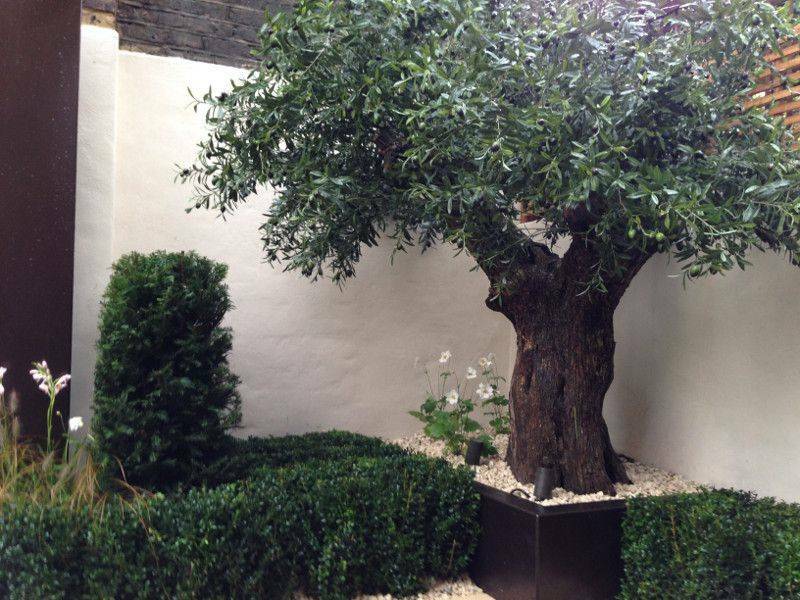 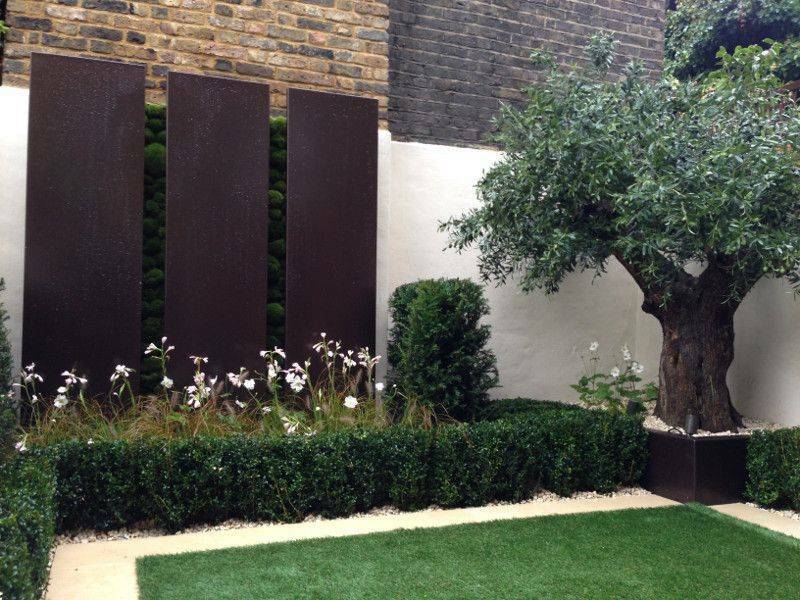 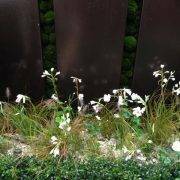 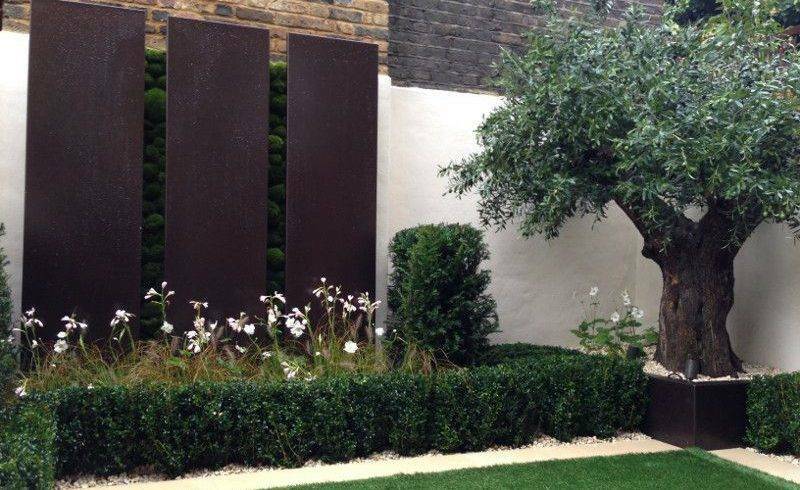 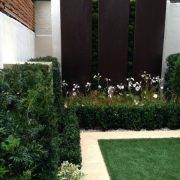 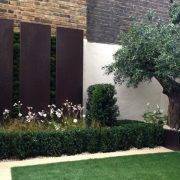 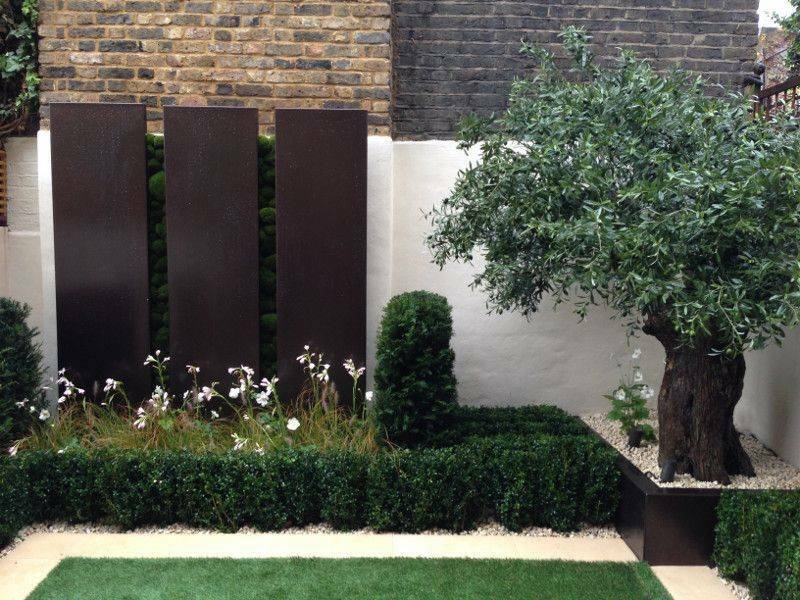 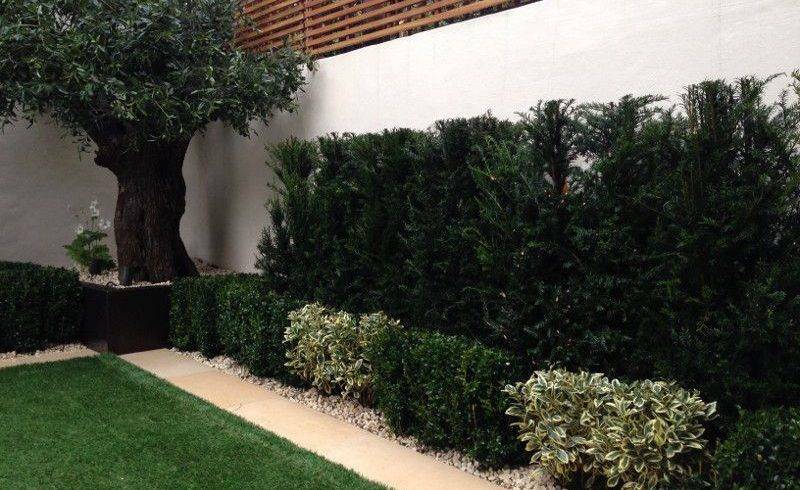 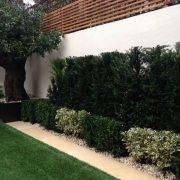 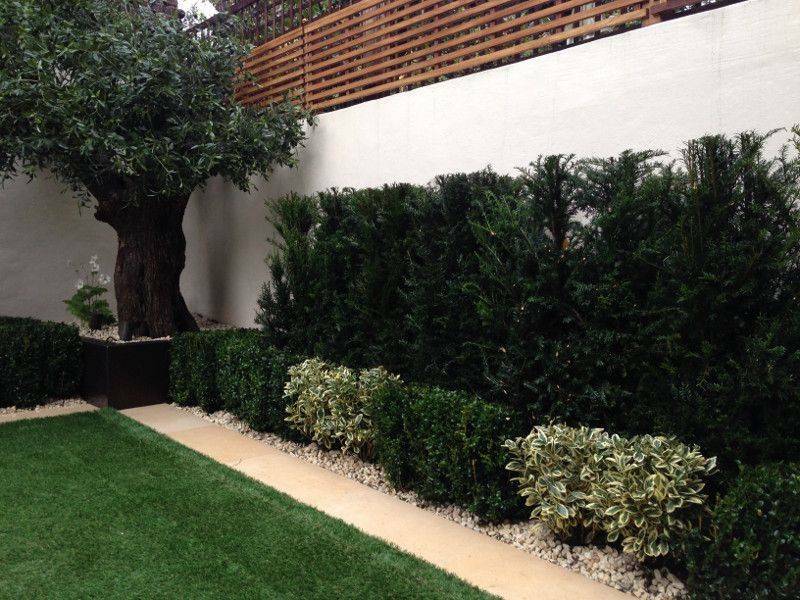 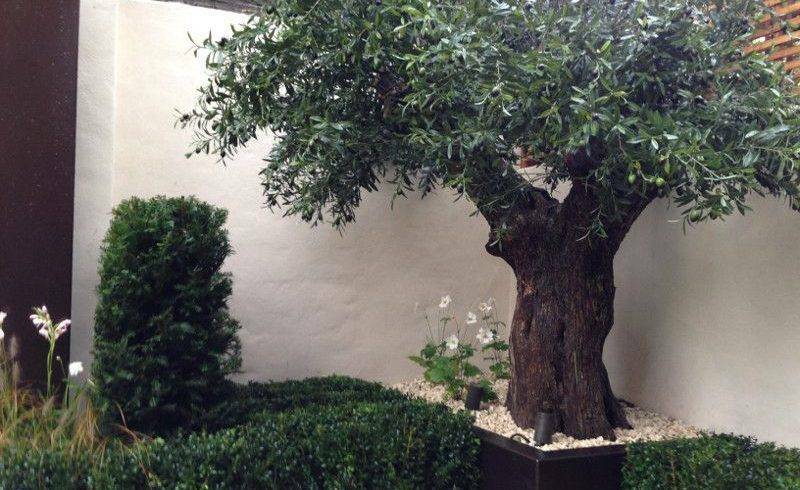 We transformed a dark and overgrown backyard into a light, fresh garden viewed from the interior design showroom and also provided an outdoor meeting space. 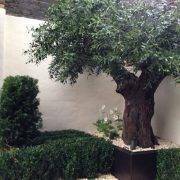 The garden is subtly lit to add another dimension on long winter days. 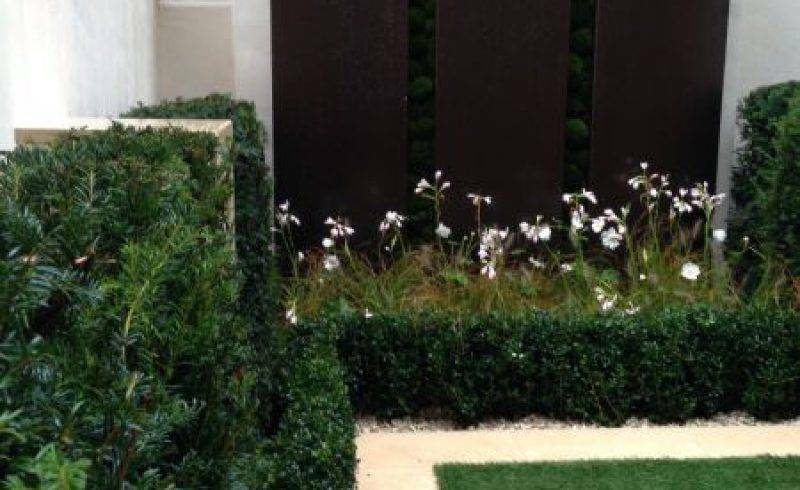 A clever use of artificial and living plants bridges the desire for a lush, green city escape with low maintenance requirements. 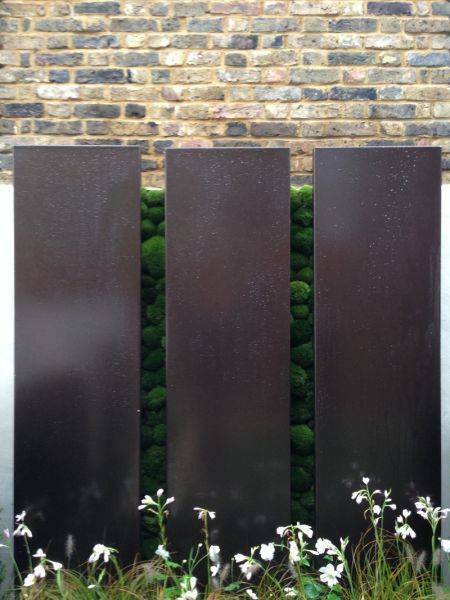 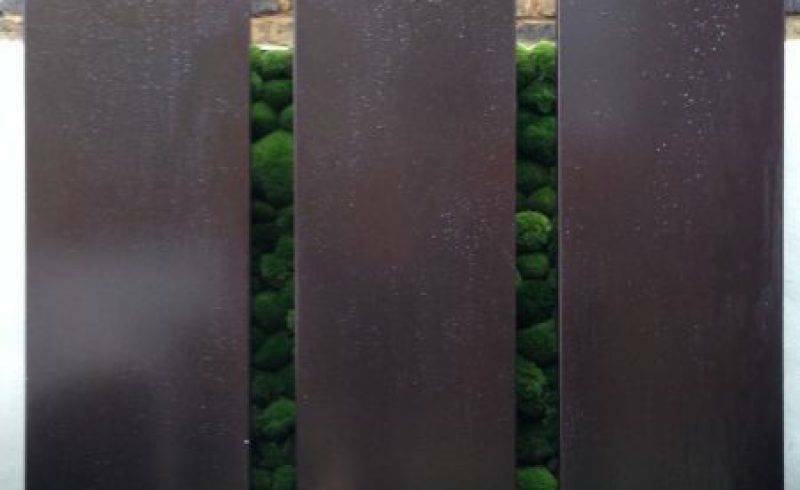 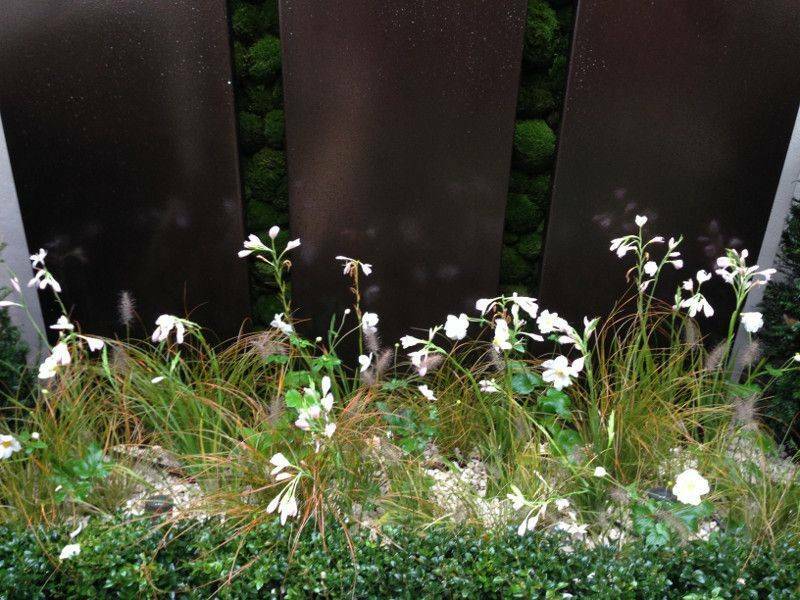 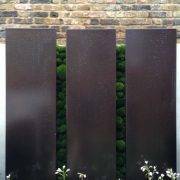 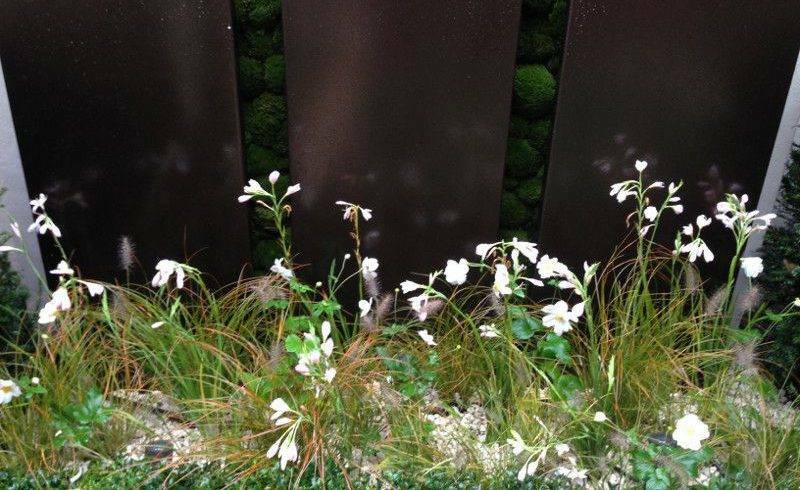 Bronze metal panels are offset by a living moss wall. 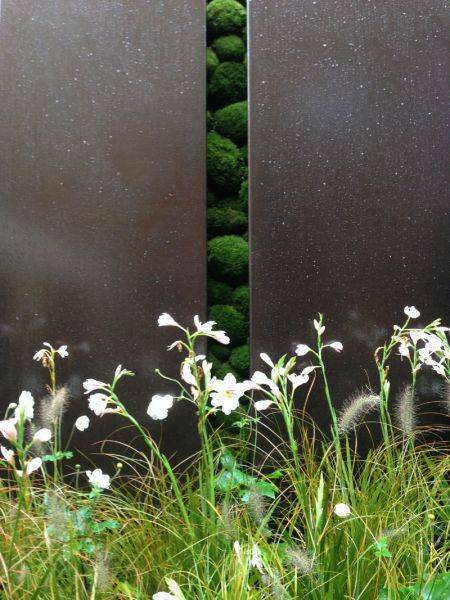 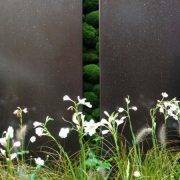 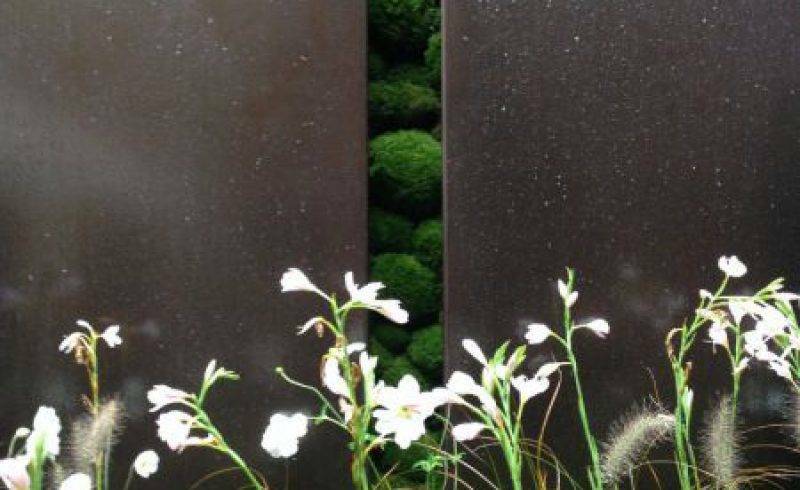 Real stone and yew form the year-round structure and a band of ethereal seasonal plants adds movement and interest.